Victoria is Australia’s ultimate state of contrasts. Unlike Australia’s other states, pretty much all areas of Victoria have land conducive to high-quality wine production. And although it is the country’s second smallest state (smallest if you don’t include Tasmania), it is home to some of Australia’s coolest viticultural regions (e.g. Henty) as well as among the hottest and driest (areas to the far northwest, such as Mildura and extending south toward the Grampians) and wettest (such as Gippsland) vineyards. This state produces fortified wines and concentrated, full-bodied Shirazes that are among the finest in the nation. And yet equally fine are this state’s delicate, perfumed Chardonnay, Pinot Noir, Sparkling wine and Riesling offerings. Plus Victoria produces a whole gambit of grape varieties and styles in between. Home to more individual wineries than any other state, you could even say that Victoria’s vine mixologists are driving the recent stirrings of recognition by global wine consumers of Australia’s incredible vinous diversity – but this is ultimately dependent on recognition of the enormous value of Victoria’s diversity by the gatekeepers (importers) within export markets. Australia’s Great Dividing Range has much to do with the stark contrasts in climates between Northern and Southern Victoria. Apart from the differences in altitude in areas like the Strathbogie Ranges and Macedon Ranges, the climatic extremes largely have to do with this mountain range’s rain shadow effect. Areas to the north of the mountains tend to be dry to semi-arid and relatively hot. Whereas regions to the south, including Henty, Gippsland and the Melbourne “dress circle” (composed of the Yarra Valley, Mornington Peninsula, Sunbury and Geelong), are generally temperate to cool and receive relatively higher rainfall. Victoria’s stark climatic contrasts mean that fairly flexible grapes like Shiraz and Chardonnay that can ripen well across a broad range of climates produce a myriad of regional styles, which should in one manner of expression or another satisfy the cravings of just about anyone who likes wine. Apart from this multitasking duo, a wide diversity of grape varieties across the state is not just desirable but necessary to ensure wines with optimal flavor and phenolic ripeness. Consequently, Victoria effortlessly manages to produce varieties and styles that pose a marginal to significant ripening struggle for the other states. It was in Southern Victoria where Pinot-focused pioneers such as James Halliday and Philip Jones set up camp with Coldstream Hills (Yarra Valley) and Bass Phillip (Gippsland), respectively. 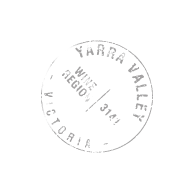 And areas of Victoria continue to make ideal testing grounds for innovation, with interesting and indeed impressive examples of unconventional Aussie-grown cultivars such as Nebbiolo, Prosecco, Moscato, Sangiovese, Marsanne, Roussanne, Pinot Meunier, Savagnin, Bordeaux Blends and Touriga Nacional. Deep purple-black colored, the 2013 Emily’s Paddock Shiraz and Cabernet Franc offers a tantalizing nose of crushed blackberries, mulberries and black cherries with hints of dried mint, chocolate box, sandalwood, marmite toast and roses. Solidly built with tons of muscular fruit and structured like a brick house, the medium to full-bodied palate gives layers of complex flavors even at this youthful stage and a very long finish. Produced from the original 1969 vines of Cabernet Sauvignon, Merlot, Malbec and Petit Verdot, the 2012 Dry Red No 1 possesses a deep garnet color and is beautifully scented of red and blackcurrants, black cherries and red plum with underlying cedar, violet, menthol and dried herb hints. Medium-bodied, it gives outstanding intensity supported by firm grainy tannins and oodles of freshness, all leading to a very long, earth- and herb-laced finish. The 2013 Sexton Vineyard Chardonnay opens with grapefruit peel, lime blossom, mandarin peel and peachy notes with underlying struck match, marzipan, fresh ginger and coriander seed nuances. Medium-bodied, it offers great elegance and complexity in the mouth with citrus, stone fruit and exotic spices layers complimented by just enough toastiness and a silken texture. It finishes with commendable persistence with freshness that keeps you wanting more. Deep purple-black in color, the 2013 Shiraz Georgia’s Paddock has a broody nose of crushed blackcurrants, black plums and warm blackberries with hints of star anise, dark chocolate and Szechuan pepper. Rich, voluptuous and full-bodied in the mouth, it is far from “heavy” and offers great freshness to juxtapose the concentrated flavors while the approachable, rounded tannins contribute velvety texture through the long finish. Pale to medium garnet colored, the 2013 Georgia’s Paddock Nebbiolo is a little reticent on the nose to begin, offering notes of warm currants, mulberries, kirsch and tar with hints of underbrush, black pepper, aniseed and cloves. Medium-bodied and not shy on the tannins, it offers plenty of very sophisticated and expressive Nebbiolo flavors with just enough lively acidity to lift the long finish. I’ve veered on the conservative side with my score, although this wine is already showing a lot of promise. Like so many great Nebbiolos, it really needs time. Lovely lemon curd, white peach and mandarin-peel notes open on the nose of the 2013 Tarraford Vineyard Chardonnay with nuances of flint, ginger and cedar. Medium-bodied, it fills the palate with lively citrus and stone fruit flavors supported by a crisp spine of acid before finishing long and minerally. A Cabernet Sauvignon dominant Bordeaux Blend sporting a very deep opaque purple color, the 2013 Harry’s Monster offers notes of crushed black plums, blackcurrants and blackberries with hints of vanilla, toast, cedar, pencil lead and cloves. Medium-bodied, the palate is densely packed with black fruit and spice box flavors with firm, grainy tannins and just enough acid to lift the long, somewhat woody finish. It really needs time to show its true colors but this is a very promising young wine! The 2014 Riesling Georgia’s Paddock has a beautifully expressive note of honeyed apricots, spiced apples and warm pears with touches of jasmine and lime blossoms. Dry, light to medium-bodied and with deliciously approachable freshness, it finishes long with commendable poise. The 2013 Mea Culpa Chardonnay has a seriously citrusy nose with intertwined notes of lemons, grapefruit and oranges over hints of lime leaves, flint, crushed stones and white pepper. Medium-bodied, it gives tons of expressive citrus and mineral flavors in the mouth marked by a racy acid spine that carries the flavors to a long finish. Pale ruby colored, the 2013 Mea Culpa Pinot Noir is a little funky and gamy to begin, then gives way to a beguiling core of red cherries, pomegranate and sautéed herbs with touches of underbrush, lavender and anise. Delicate and softly spoken in the mouth, it offers quiet intensity with beautifully silky tannins and a long finish of earth and red berry flavors. Medium to deep garnet-purple in color, the 2013 Mea Culpa Shiraz leaps from the glass with ripe blackberry and blueberry scents complimented with menthol, cloves and Chinese five spice accents. Medium-bodied, it fills the palate with expressive black berry and exotic spice flavors supported by firm, chewy tannins and lively acidity before finishing long and spicy. A medium-garnet colored “Rhone Blend” of Shiraz and Marsanne, the 2012 Dry Red No 2 offers a nose of kirsch, stewed plums and spice box with hints of dusty earth and Ceylon tea. Medium-bodied, it offers great intensity and tension within an elegant package with plenty of spicy red berry flavors, a solid backbone of chewy tannins and a long, earth-laced finish. Pale ruby colored, the 2012 Pinot Noir has a somewhat rustic, stemmy nose giving way to a delicate core of red cherries and raspberries with hints of violets and fertile loam. It fills the mouth with vibrant red berry flavors and harmonious herbal- and earth-laced accents, is well supported by chewy tannins and lively acid, and finishes with great length. A blend of Cabernet Sauvignon, Cabernet Franc, Merlot, Malbec and Petit Verdot, the 2012 Proprietary Red displays a medium to deep garnet-purple color and gives notes of crushed black cherries, black raspberries and roses with hints of cedar, pencil shavings, cinnamon and cloves. Medium-bodied, it fills the palate with vibrant red berry flavors and a pleasant toastiness supported by crisp acid and firm, fine-grained tannins and a finish with wonderful persistence. Pale to medium ruby-purple in color, the 2013 Pinot Noir Sexton Vineyard is just a little reticent, offering subtle notes of black cherries, mulberries and wild thyme with underlying violet and black pepper hints. Medium-bodied, it offers plenty of pepper-laced black cherry flavor and a good grip from the chewy tannins and lively acid, though it’s a little bitter toward the finish. The 2012 Chardonnay provides expressive apricot, mango and guava aromas with nuances of toast, marzipan and allspice. Medium-bodied, it fills the palate with tropical and stone-fruit flavors with refreshing acidity through a good, long and savory finish. The 2013 Chardonnay is delicately scented of honey-drizzled white peaches and clotted cream with hints of baking bread and marzipan. Medium-bodied, it offers plenty of creamy stone fruit and bready flavors supporting by just enough freshness and finishing with great length. Medium garnet in color, the 2012 Underhill Shiraz is a tad reticent at this youthful stage, offering glimmers of red fruit preserves notes plus underlying dried herb, Chinese five spice, pepper and lavender hints. Medium-bodied, it has great expression and vibrancy though is just slightly lacking in generosity with a firm spine of chewy tannins and long, refreshing finish. Pale ruby colored with a hint of purple, the 2012 Pinot Noir offers a subtle nose of fresh cranberries and wild strawberries with hints of forest floor, violets and fallen leaves. Light to medium-bodied, it gives just enough elegant red berry and earthy flavors in the mouth with a light grip of acid and chew of tannins, finishing with lingering notes of stewed tea. Pale ruby-purple colored, the 2013 Applejack Vineyard Pinot Noir gives pronounced red and black cherry aromas with cinnamon stick, toast, violet and cloves suggestions. Medium-bodied, it provides plenty of cherry and baking spices flavors in the mouth supported by soft tannins and just enough acidity, finishing with great length yet lacking somewhat in depth. Pale ruby colored, the 2013 Pinot Noir gives notes of kirsch, cranberry sauce and raspberry preserves with hints of cinnamon stick and forest floor. Medium-bodied, it gives a good amount of juicy berry flavors supported by approachable chewy tannins. It finishes with good length but perhaps just a little simple. The 2013 Marsanne / Roussanne has delicate notes of peaches and ripe apples with underlying yeast, toasted almond and nutmeg hints. Medium-bodied, it has plenty of savory / yeasty character on offer in the mouth with a lively acid backbone and medium to long finish. The 2014 Pinot Gris gives delicate notes of fresh peaches, pear drops and nutmeg with a hint of honeysuckle. Some yeasty notes come through on the medium-bodied, dry, silken-textured palate and offer a pleasant savory note in the finish. The 2013 Viognier has a very faintly scented nose of peaches, honeysuckle and baker’s yeast with a touch of nutmeg. Medium to full-bodied with a lovely satiny texture, it offers just enough honeyed peach flavors with balancing acidity and a medium to long finish. Pale salmon-pink colored, the 2014 Moscato offers an intensely grapy and honeysuckle-scented nose with notes of rosewater and honey-drizzled peaches. Light-bodied, fizzy and sweet in the mouth, it is a classic example that can’t fail to win over lovers of this style.